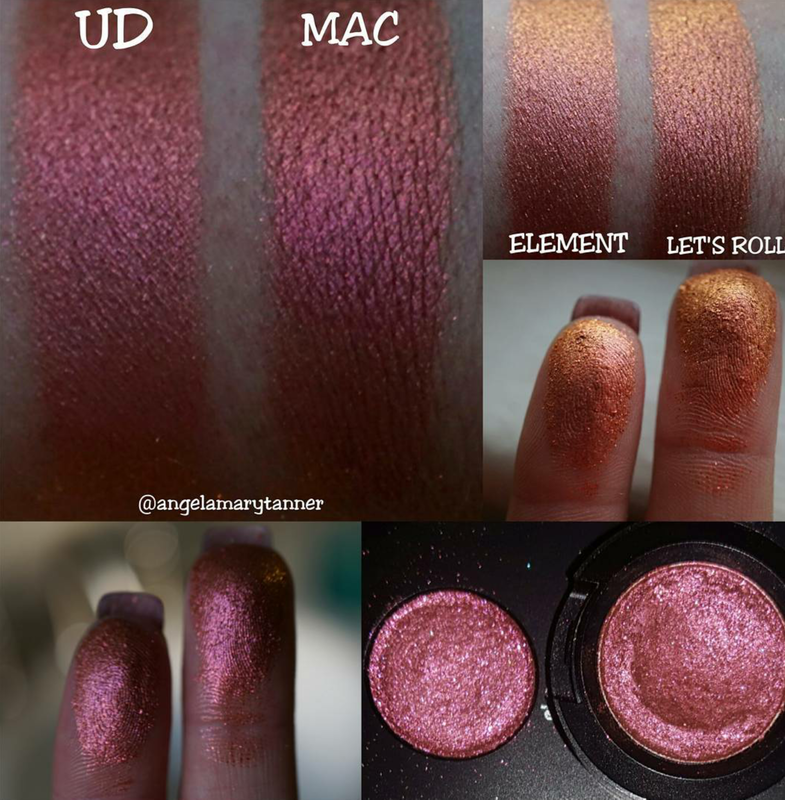 ELEMENT from the UD MOONDUST palette is a nearly perfect dupe for MAC LET’S ROLL. They’re both bright coppery reds with an orange shift. I think LET’S ROLL is slightly more red and glittery. ELEMENT is only available as part of the palette. And it’s a small pan, .02oz. LET’S ROLL is $18 and .05oz. It was LE but MAC is making it part of their permanent line. Now for those of you won’t buy from MAC because they aren’t cruelty free and don’t want to buy a whole palette for one color, INGLOT 81 PIGMENT is a perfect color dupe for LET’S ROLL.